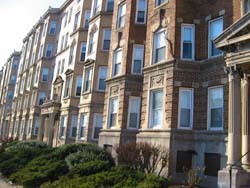 Boston’s famous Fenway is a residential neighborhood gathered around a scenic, marsh not far from the Longwood medical area, Fenway Park and Kenmore Square. 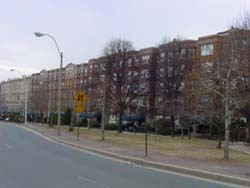 Fineberg manages seven attached brick apartment buildings at 1163-1191 Boylston St. with a total of 318 units. 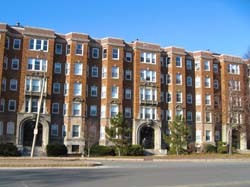 Entries to these five-floor buildings are separate, very attractive awning-sheltered walkways. 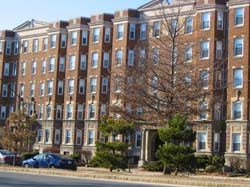 The apartments are studios and one- and two-bedroom units with varying layouts. The proximity to food shopping, specialty stores, dining and entertainment, as well as other consumer services, is extraordinary. So is access to public transport. On-street permit parking is available to residents. This is a prime location central to many of Boston’s finest attractions.